Good day! 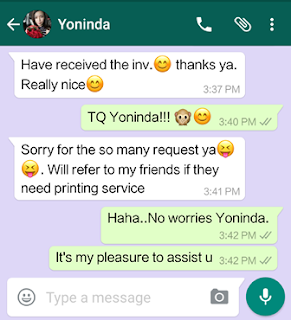 This pastel watercolour flower design is personalized for Yoninda. The bride and groom names are done with gold stamping finishing to make it stand out from the whole wedding card. 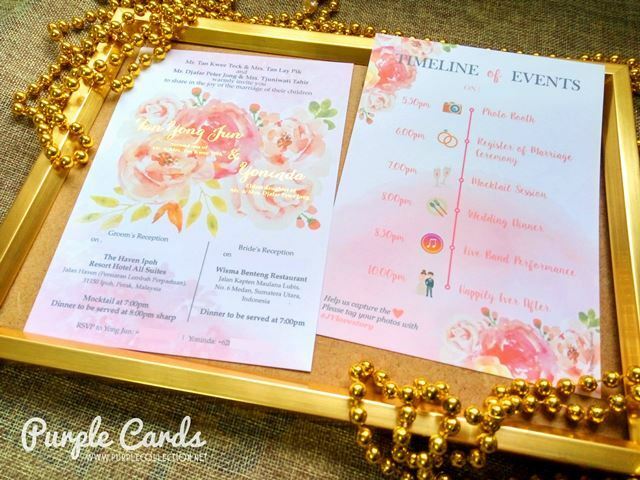 The back of the card is printed with timeline of events such as photo booth session timing, reception of marriage ceremony, cocktail session, wedding dinner, live band performance, and happily ever after icons, followed by a hashtag for their guest to hashtag their photos during their wedding day. Some clients do ask us is it necessary to put in a hashtag? It really depends on each of the clients. 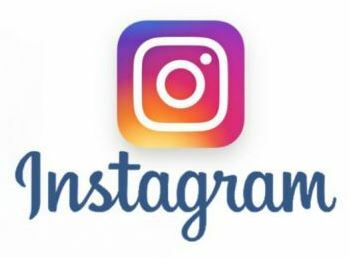 If the clients would like to view all of their photos taken and uploaded to Facebook, Instagram or Twitter by their friends, a hashtag is required to view all of their photos online.